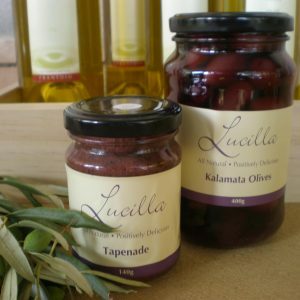 Lucilla Extra Virgin Olive Oil – Frantoio variety is a fruity, full bodied oil with a rich peppery after taste. This magnificent oil is great with crunchy bread, excellent for salads and adds that zingy”it” factor to beef, lamb and game dishes. This is the “shiraz” of olive oils.